The clock struck midday, and the pigeons resting on the clock tower took off with a clatter of wings. Dark clouds gathered, and the air was humid and suffocating. Sweat dripped down her back, her dress clinging to her uncomfortably. Her breathing was labored, and the corset cinched around her waist wasn’t helping. Why she had to wear the blasted thing was beyond her, but her handmaid had insisted it was improper to go without. Something about tradition had prattled from her mouth, but Zelda hadn’t really been listening, her mind elsewhere. Her head hurt from the air pressure, though she supposed it was also from the numerous meetings she had held since the wee hours of the morning. Decisions had to be made on what areas should be fixed first after Calamity Ganon had destroyed most of Hyrule. Now that he had been sealed away once again, the real work had begun. Hyrule Castle was probably the worst off at the moment, and her own chambers had yet to be cleared, much less fixed. Rubble and debris was still strewn across the cobblestone flooring, her canopy bed smashed to mere splinters. The books she had collected over the years had been flung every which way, and many were barely even legible after a hundred years of various weather patterns and poor conditions. She sighed at the thought of her real chambers, slowly making her way back to the small guest room she was using instead, her knight quietly trailing behind her. He didn’t talk much; it seemed more like he wanted to listen to what was going on around him. The princess wasn’t sure how he could possibly be so calm after everything he had been through to defeat Calamity Ganon. She, herself, felt weighed down by the horrors she had endured for the past century, yet she had not been the one to raise a sword in trial and combat. He had. He bore the scars. Sweat beaded on her forehead and her breath caught in her throat as the sudden memories threatened to overtake her. Not here. Not now. Please just let me make it to my room first, she thought, picking up her pace as she tried to calm her erratic breathing. Don’t think about it don’t-think-about-it don’tthinkaboutit… It was hard to keep from bolting for the safety of her room, but she didn’t want to make a scene. If she did, the whole castle would come running to her, and that was the very last thing she wanted. She finally made it to her room and nodded curtly towards Link before slipping inside and closing the door behind her. She latched the lock with shaking fingers and felt the roar of tears crawling up her throat. Her breath came out in shuddering gasps and her fingers clawed at the back of the corset, yanking on the ribbons that cinched it together. Everything was hitting her all at once and she felt like she was choking for air as the panic set in. It all came down on her, crushing her lungs as she struggled with her binds. Finally, she felt it loosen and she flung it across the room. She sank to the floor, exhausted as the memories rushed over her, and let the torrent of tears come. Her room was dark when she woke up, her neck sore from having fallen asleep against the wall. The castle was quiet, and the sound of crickets drifted up to her delicate ears. She got to her feet slowly, her bones creaking in protest as she made her way to her vanity mirror. She lit the sconces that were placed on either side of the mirror and took a look at her reflection. Her eyes were nearly crusted shut from her dried tears, and dark trails from her makeup careened down her cheeks to her chin. She sniffled and grabbed a small towel close by, wiping away the remainder of her tears and snot that pooled in her nose. Well, don’t I look just lovely…? Contemplating her reflection, she took in her pale complexion and red rimmed eyes. Blinking away the crust of dried tears, she washed her face and ran her fingers through her disheveled hair before attempting to smooth away the wrinkles in her blue dress. She sighed and gave up after a few seconds, shaking her head as she turned from the mirror and headed for the door. She unlocked it and opened the door slowly, poking her head out and peering down the hallway. She jumped, her voice frozen in her mouth as her head whipped towards him. He sat to the right of her door, his arm slung over his knees and his sword placed at his feet. His golden hair shimmered in the moonlight as he stood and adjusted his Champion’s tunic. A small smile tugged at the corner of his lips. “I’m sorry, I didn’t mean to. Is everything okay?” He asked, cocking his head to the side. “Would you like to take a walk, then?” He asked, buckling his sword to his belt and offering her his arm. She glanced up into his blue eyes, and her heart stopped for a moment. It felt weird to have him talking to her so normally, to finally open up to her, and her heart fluttered in her chest. She nodded, averting her eyes as she accepted his arm. She enjoyed the warmth that radiated from where his arm touched hers, and they slowly made their way down the shadowy hallway. Neither of them spoke for awhile, simply enjoying each other’s company while lost in their own thoughts. “Oh. You didn’t have to wait outside my door! The threat is gone, now, so…” She trailed off awkwardly, watching as she placed one slippered foot in front of the other. “Just because the biggest danger is gone, it doesn’t mean there aren’t other dangers surrounding you. Or other people that would do you harm. It’s my sworn duty to protect you, Princess.” He glanced at her sidelong and offered her a small smile. She sighed and nodded, turning her face to gaze out the floor length windows. The wind whispered through the moon-bathed trees outside, and the hoot of an owl sounded close by. It was peaceful and quiet, unlike her mind. Link was quiet for a bit, and glancing at him, she couldn’t tell what thoughts were behind his eyes. Perhaps he hadn’t heard her. Or maybe he just wasn’t comfortable answering. She looked down again, stepping softly down the hall. When he did respond, his voice was quiet and almost sounded far away. “Some nights are harder than others. Some nights I lie awake in bed staring at the ceiling until the sun comes up. And others, I find it hard to open my eyes and get moving. I’ve learned to just take it one day at a time, as well as find things to help distract me. It’s not easy. Every day is a struggle, and sometimes I think the darkness will win. “But then I remember I have someone I want to protect. And it’s that thought that makes things just a little easier.” His eyes met hers, and she found her heart was pounding in her chest. Not because of anxiety, or fear. No, this was something different. Something she hadn’t felt in a very long time, though she refused to name it. Naming it would only complicate things, and things were complicated enough as it was. They continued on for awhile, making their way down to the garden outside. The fragrant scent of roses hovered in the air, and Zelda couldn’t help but take a deep breath in as she closed her eyes. The wind caressed her cheeks, tousling her hair. She made her way to a bench and sat down, resting her head on the back of it, her eyes scanning the dark sky. Link stood behind her, his hands clasped behind his back as his eyes darted to each corner of the garden. “I’m scared, you know…” Zelda whispered, watching as a shooting star blazed a golden trail through the indigo sky. “I’m scared I won’t be able to get past this. That the damage that was done in my heart will never be fixed. That I’ll always be the broken princess. A failure. Heir to a throne of….of nothing.” She choked on the last word and took a shaky breath, trying to keep the tears at bay. Link didn’t respond but simply came up behind her and placed his hand on her shoulder comfortingly. They stayed like that for awhile, and watched as the sun crested the horizon. Zelda’s eyes were heavy and her head pounded as she listened to the concerns of her subjects. It was late into the afternoon, the sun just beginning to make its slow descent towards the horizon, and she had been rooted to this spot since late in the morning. Her head and back throbbed painfully as she listened to yet another complaint. “I just don’t understand why the town hasn’t been fixed yet! Our house is still rubble, and yet here you are fixing your quarters and taking your sweet time before taking care of your people!” the man in front of her yelled angrily, his hands flying animatedly. Zelda winced as his voice sent a throb through her head and fought back a sigh. All she wanted to do was knock some sense into the man, but she knew it would be highly frowned upon. “Do you understand, Majesty?” He interrupted, a sneer pulling at the corner of his lips and his brown eyes glittering with animosity. She could feel Link tense behind her, prepared to get in between them if necessary. “My apologies.” The man sketched a low bow, his voice slightly mocking. Her sigh threatened escape again, but Zelda held tight rein on it and continued, “As I was saying, I do understand your frustration.” Her eyes narrowed slightly as the man huffed with scorn. Fatigue filled her voice as she repeated, yet again, the message she had relayed so many times that day. The man shook his head and bowed again, no less mocking. “No. Thank you, Majesty.” He turned and left, grumbling along the way. Zelda sighed as the door closed behind him, using her thumbs to rub at the ache along her temples before turning to her adviser. “Where in the world would he get such an idea? To think I wouldn’t think of our people first!” She exclaimed, completely baffled. Her adviser shook his head, no less confused than she was. “I’m not sure, your Highness. I feel that anyone who knows you would know your main concern is them.” She glanced at Link, who just shrugged blankly, relaxed now that any possible threat had passed. He glanced at the scroll he held in his large hands, his eyes skimming over the page quickly. He was a rather portly man, with a round belly and short legs. His skin was rather pale, and she got the impression he preferred to stay indoors with a bottle of brandy beside him as he lounged on a couch beside a fireplace. She had been lucky to find him, as he had originally been a shopkeeper in Hateno. He learned quickly, and while he hadn’t been there long, he had already earned her trust. Zelda shook her head and rose to her feet unsteadily. “No, I should be there.” Her head swam as she stepped from the dais and her foot caught on her skirts. She pitched forward and stretched out her hand to catch herself, but Link was there in an instant, catching her around her waist and righting her. A slight blush crept up her neck and settled on her cheeks as she felt the warmth of him slowly settle into her skin. “Highness, I think Williams is right. You should rest.” His voice was soft and edged with concern as he slowly removed his arm from around her, his blue eyes scanning her face. She fought against her urge to reject his idea, but she knew he had a point. She couldn’t remember the last time she had gotten a full night’s sleep, or had been able to keep a single meal down. Her body had been sending her warning signs for awhile now, but she had chosen to ignore it. No, Williams was right, no matter how much she hated to admit it. 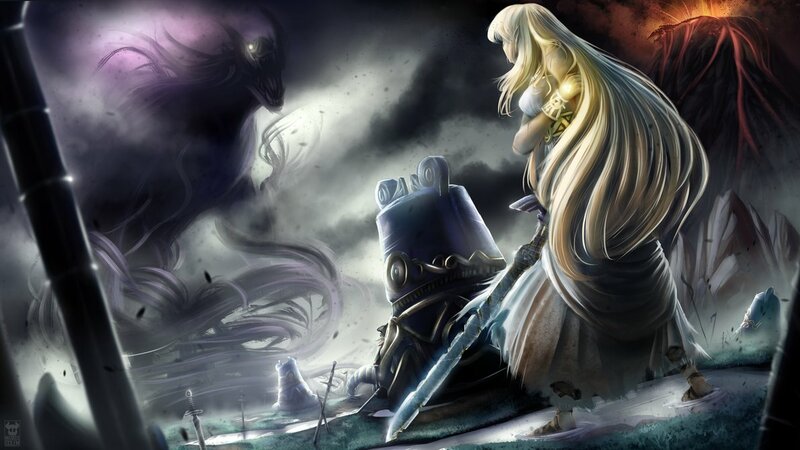 She nodded again and left the throne room, slowly making her way to her current chambers as Link trailed behind. Zelda left the door open as she wandered in, and Link hesitated for a moment before following her inside and closing the door gently behind him. She could feel him standing at the door, and she imagined he might be feeling a little awkward. She couldn’t really bring herself to care though as she opened the doors leading to her balcony. The cool wind pushed back the thin curtains that adorned the doors, the golden light of the sunset spilling around her and giving her an almost ethereal glow as she leaned against the stone railing. She felt Link come up beside her, and they both looked out over the rolling hills and forests that spread out before them. Zelda closed her eyes and breathed deeply as the wind picked up, breathing in the earthy scent of autumn leaves and wood smoke. The faint sound of children’s laughter greeted her ears, and as she looked out over the balcony, she could see them playing around the ruins of the courtyard. Normally the sight of them running and playing would bring a smile to her face and joy to her heart, but as the worries of the day swarmed her mind, she found that joy had no room to enter. She stared out at the scene before her, and far from the joy she remembered, or even the numbness that had been her wont lately, a new and profound sadness settled into the cracks of her soul instead. As night fell and the children and the workers packed up and headed to their temporary shelters, she found herself wondering if there would ever again come a day that her heart would feel as it once did, or if what was once a simple joy was now, only a memory. Featured image by MaskedGolem. Check out more of her work here! Savannah Gault is an Original Content Editor at Zelda Dungeon. When she’s not busy writing, you can usually find her playing video games or taking photos! Follow her on Twitter.